The Modern Girl's Guide: Get the Incredibles Download for Free! Get the Incredibles Download for Free! Just wanted to share some news with all of you! If you have an Iphone or Ipad, go to the App Store and get the latest Disney app called Disney Movies Anywhere. 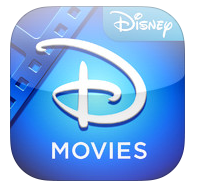 This is a great app that allows you to view all of your disney digital copies in one place, anywhere, anytime. I will be testing this out when we go on a trip in a couple of weeks and need to entertain my toddler on a 6 hour flight. The best part about this app is that they are currently allowing you to download the Incredibles for FREE! !